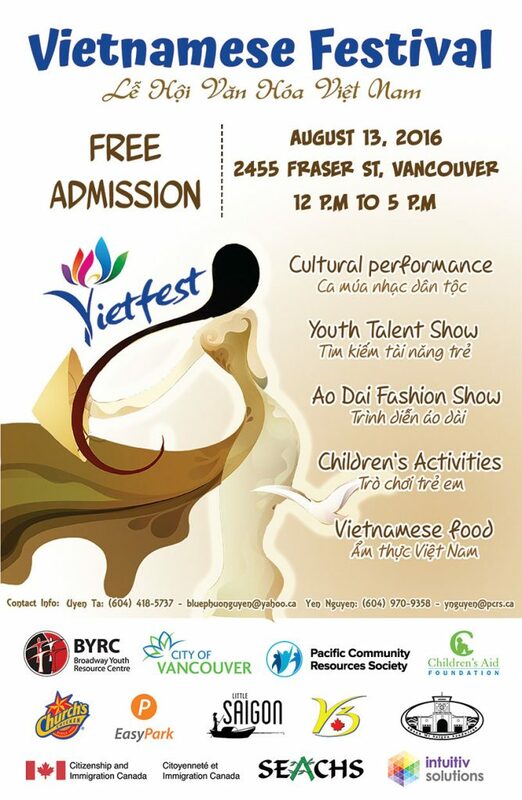 VietFest Committee cordially invites you to attend the celebration of the Vietnamese settlement in Vancouver. 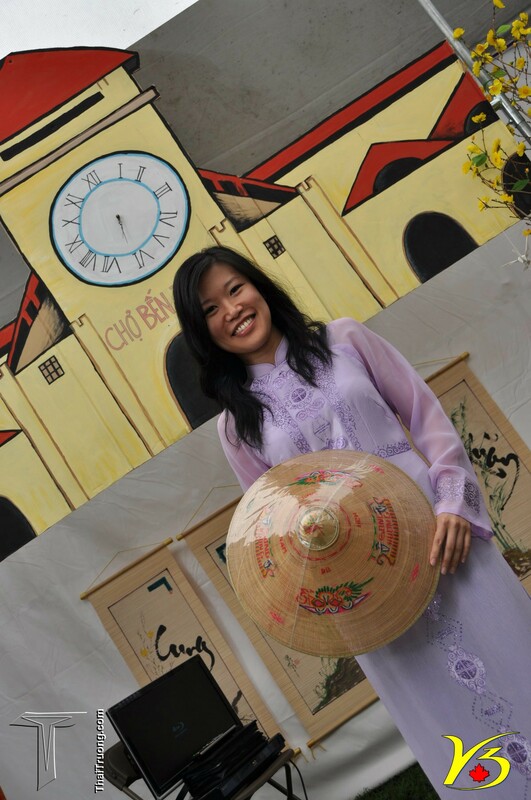 The Vietnamese-Canadian Community Heritage Day or VietFest is a non-political cultural event lead by youth groups from the BYRC’s Vietnamese Youth Development Program, Southeast Asian Cultural Heritage Society, V3-Vietnam 3 Regions Society, UBC & SFU Student Groups, and Vietnamese Community Workers’ Network. 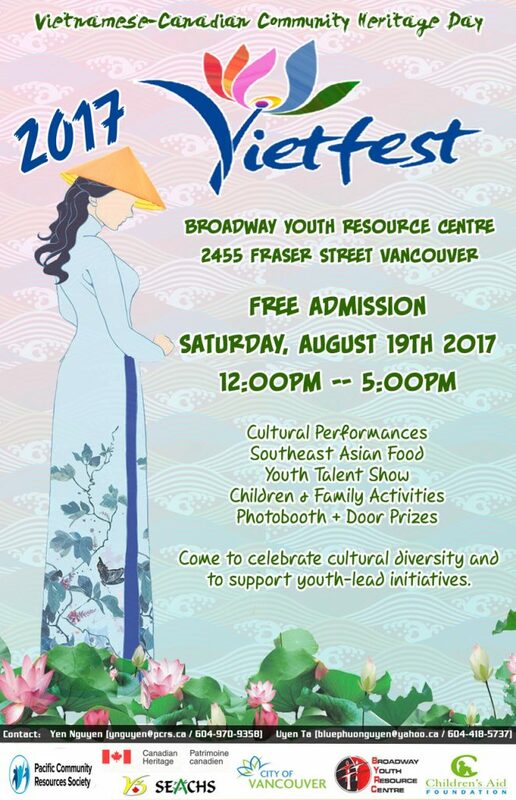 Through multicultural activities performed by youth and other multicultural organizations, VietFest is attracting 300+ youths and participants, artists, and community members whose ideas and spirits collectively support the celebration of the participation and integration of youth in Vancouver. 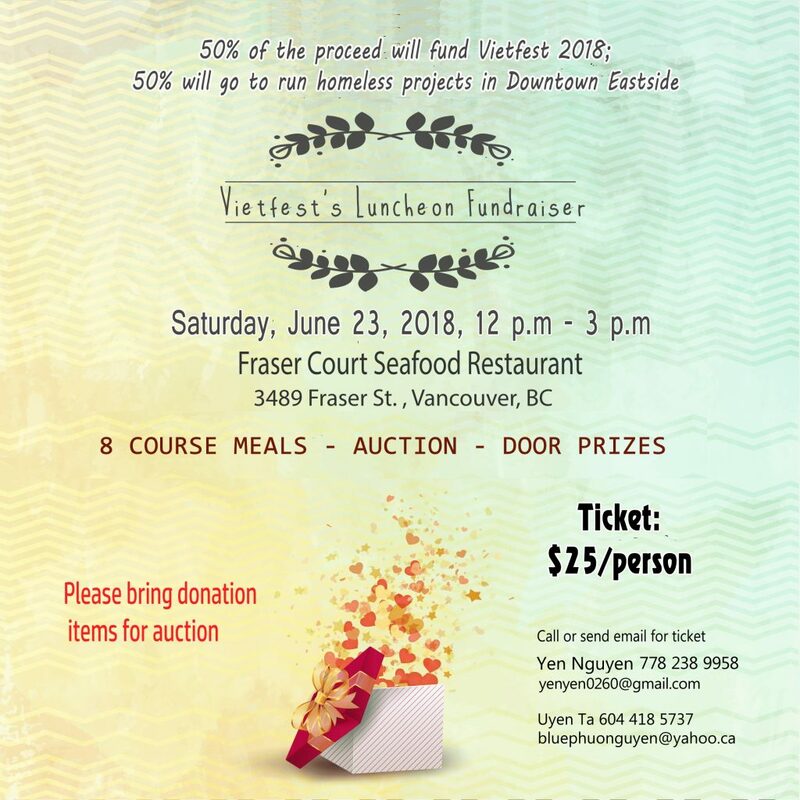 VietFest is a youth-led and youth-driven Vietnamese festival in the lower mainland to celebrate multiculturalism and to mark a significant milestone for the settlement of the Vietnamese community. Your attendance and support that day are important to us and we look forward seeing you there. 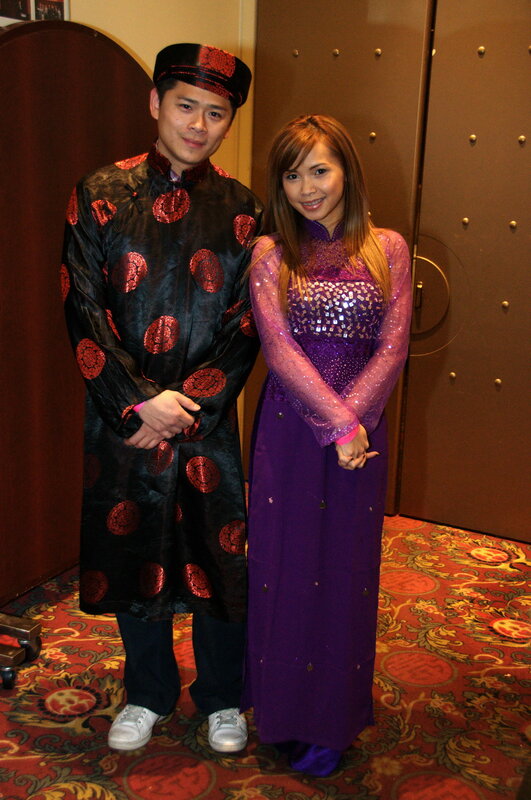 If you have any questions or inquiries, please don’t hesitate to contact us. 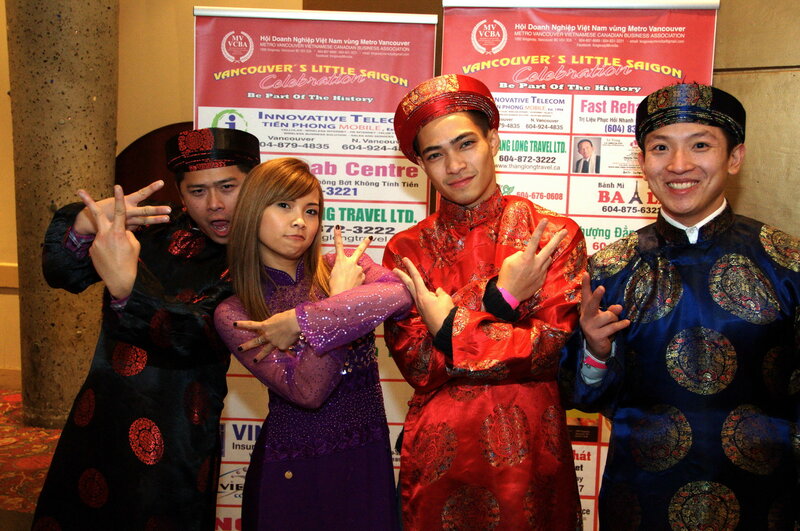 It has been a long time since we’ve last made a post but we’ve kept up with doing events and posting those photos. 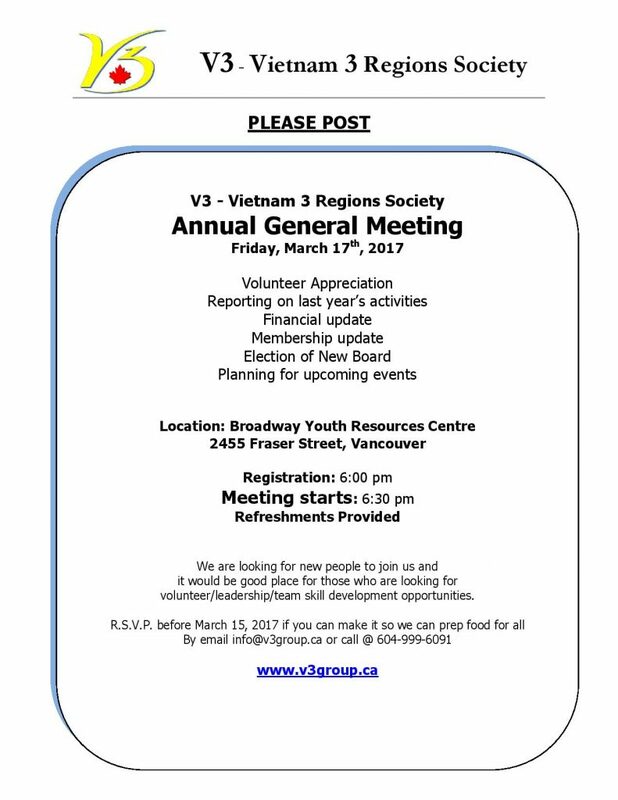 This Friday, March 17th, we will be having our annual general meeting which we would love for you to attend. 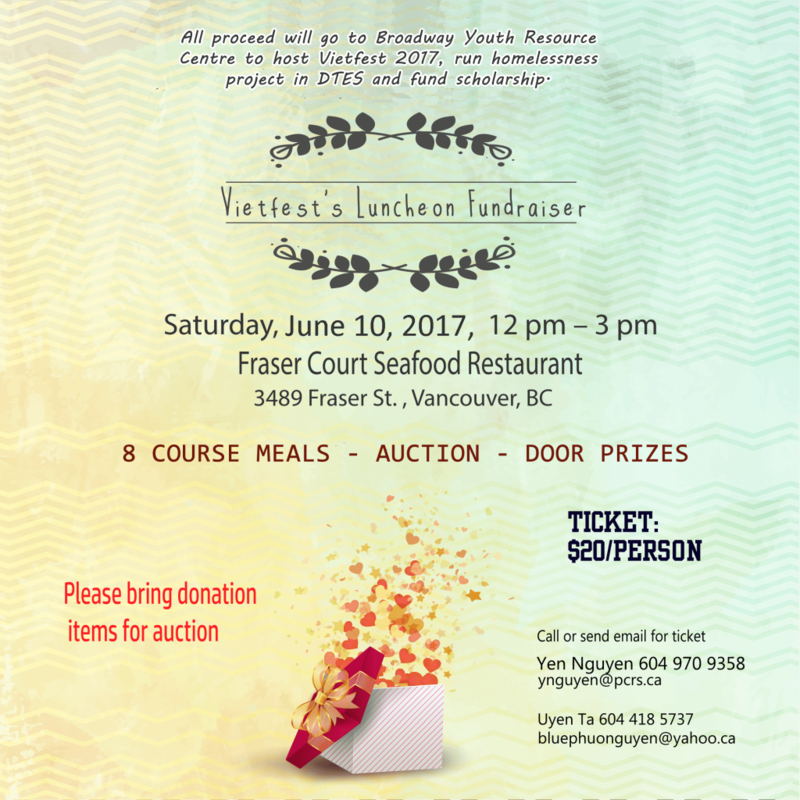 Refreshments will be provided so take the time to come meet members of V3 as well as becoming a volunteer. We are always looking for new members and to see old members. If you know someone who might be interested or who used to volunteer with us, tag them! To ensure we have enough food, please RSVP by letting us know in the comments. Thanks! Hope to see you all there.